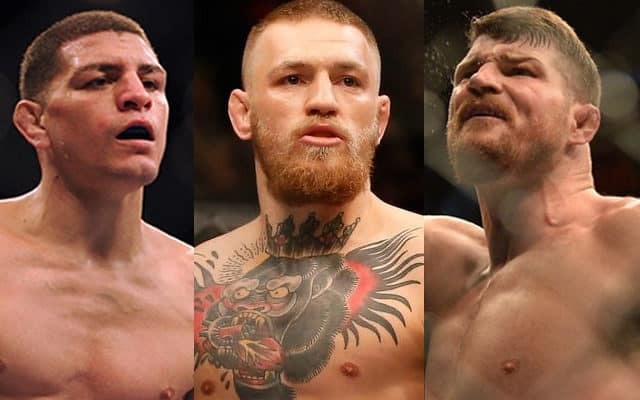 Animosity between two mixed martial artists who are going to compete in the cage is not an uncommon occurrence, but sometimes that bad blood between them can also spill over to other members of their opponent’s camp too. In this article we’ll explore 10 infamous incidents where sportsmanship was thrown out the window and MMA stars clashed with their opponents cornermen, teammates and sometimes even family members, resulting in heated arguments, obscene behavior and all-out brawls. Having just won PRIDE’s middleweight tournament with wins over Quinton ‘Rampage’ Jackson, Antonio Rogerio Nogueira, Alistair Overeem and Ricardo Arona, expectations were running high for Mauricio ‘Shogun’ Rua’s next fight with Mark Coleman at PRIDE 31 in February of 2006. However, the fight had barely begun when ‘Shogun’ sickeningly dislocated his elbow after landing awkwardly following a Coleman takedown. Coleman didn’t realize what had happened and continued attacking as the referee frantically tried to stop the fight. 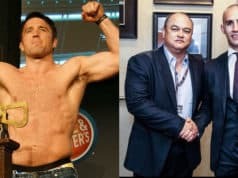 That sparked a furious reaction from Rua’s ‘Chute Boxe’ teammates, including his brother Murilo ‘Ninja’ Rua and Wanderlei Silva, who ran into the ring to confront the wrestler, while Coleman’s father and team-mate Phil Baroni also got involved. The scenes that followed were chaotic, with Coleman claiming to have been sucker-punched by both ‘Ninja’ and Silva, while Baroni took Silva down, at which point ‘The Hammer’ stepped on his neck to keep him there. The brawl was finally brought under control, but backstage later that night the two camps came face-to-face again, with Coleman this time being backed up by the likes of ‘Rampage’, Overeem and Josh Barnett. Coleman attempted to apologize, but ‘Shogun’s’ team refused to accept, with Silva in particular still being furious that both Coleman and Baroni had kicked and punched him while he was being restrained on the mat. Rua and Coleman would eventually settle their differences in the UFC three years later, with ‘Shogun’ winning their rematch via a third round TKO.